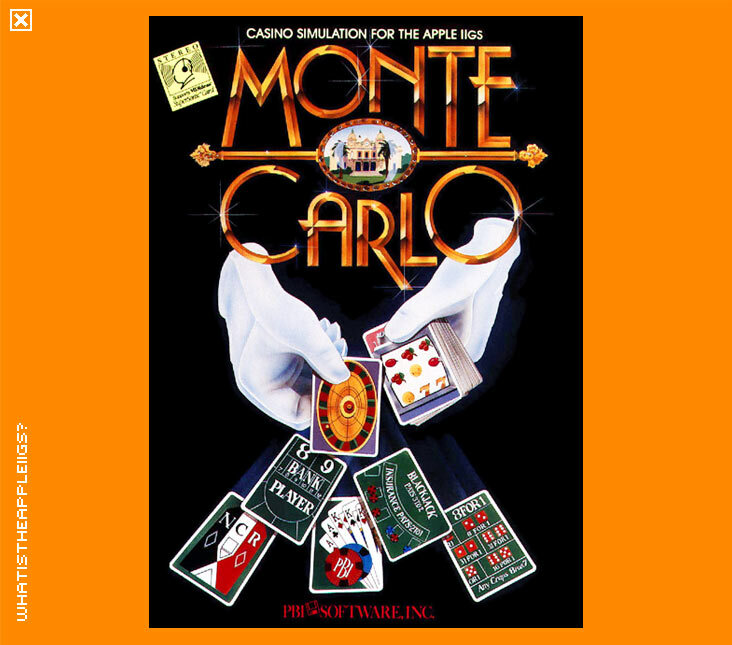 Monte Carlo was the first IIGS gambling simulation, released in 1988 by PBI Software. Another PBI game programmed by Richard L Seaborne (Sea Strike and Tower of Myraglen being the other two) this game bears the same, slightly impractical interface as seen in the other two. The game loads to a standard set of pull down menus, which are relatively redundant in Monte Carlo due to there being the same choices available on screen as well, in the form of much friendlier iconic buttons. I suppose the menu is more relevant to Monte Carlo, with several other options than Sea Strike or Tower of Myraglen where the menu only allows you to start the game...why didn't they just forget the menu and start the game in the first place? Anyway, Monte Carlo features the Casino gambling games Baccarat, Black Jack, Craps, Roulette, Slots and Trente et Quarante (which I think may be the game of choice for Casino connoisseur James Bond, however how it's played remains a mystery to me). In short, more casino games than its closest IIGS rival, California Dreams' Vegas Gambler. However Monte Carlo can't make up for the sound or graphics found in California Dreams' gambling sim. Nor can Monte Carlo match its better interface; to leave a game in Monte Carlo you have to deal without placing money. Dealing itself is a pain in the bum because you have to manually place your bets almost every time you play a new game...and once you've left the main menu, the pull down menu disappears. If the pull down menu had stayed, it would have justified its inclusion in the game because you could have chosen another type of casino game instead of having to go back to the main menu and select it from there. 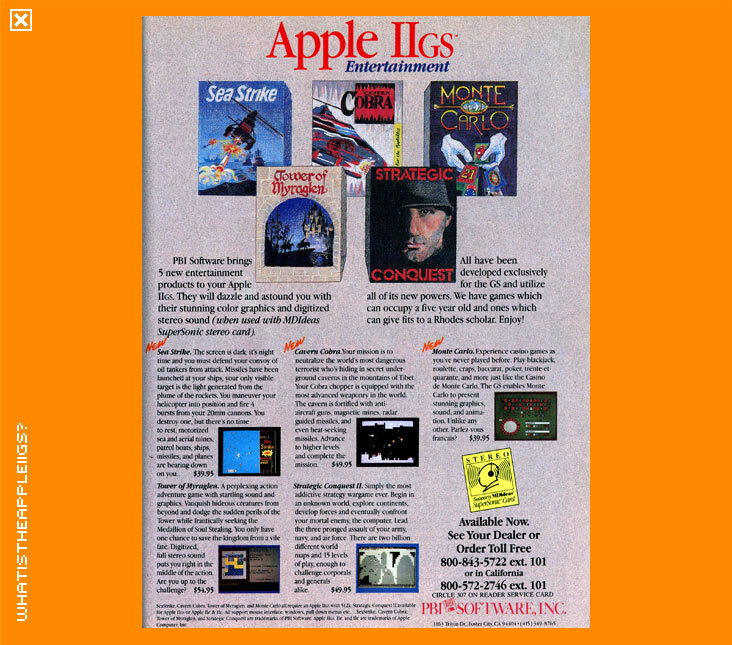 With Monte Carlo, I again get the feeling PBI saw the IIGS as nothing more than a colour Macintosh. It was a shame they went bust just as they recanted. Alien Mind was anything but a colour Macintosh game.